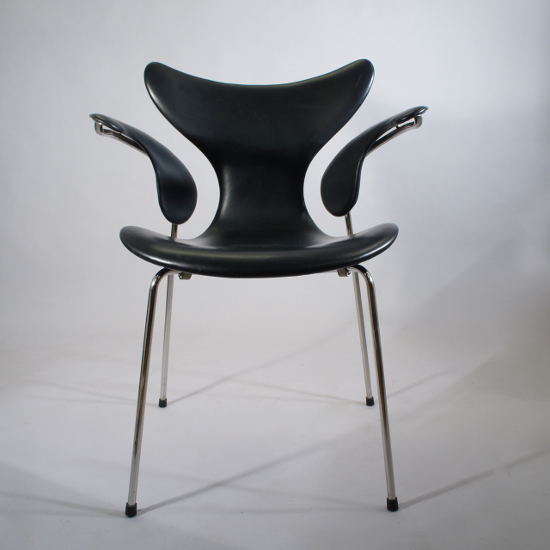 Arne Jacobsen for Fritz Hansen, Denmark. ¨Seagull¨ or ¨Lily¨ arm chair in original leather. 4 chairs available.